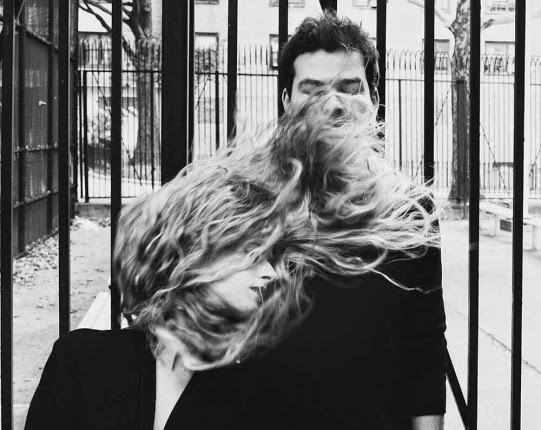 Marian Hill (who, in the photo, depicts the 17% of times the bend-and-snap goes awry) are making tsunami-sized waves right now (ok, mehbeh 1D creates tusnamis... but Marian Hill is still creating some sizable swells). "Lips" is only the duo's second single and already bloggers are awaiting the release of their EP more eagerly than I await the Homeland season 4 finale (Quinn 'n' Carrie 4ever #Brodywho?) Sure, listening to this kind of seems like you're watching Snow White on acid, but the production by Jeremey Lloyd is minimal yet effective and Gongol's voice is flawless (© Beyonce, 2k13)* over the layers of jazz-inspired synth. IHeartMoosiq describes the track as an "R&B infused electro-pop ballad" which is accurate but also, like, when did we start describing the music like we describe tea? Infused? rLy? When did those two completely disparate worlds crossover? I blame the British and their mastery of both trendy music and hot, herbal beverages. *not sure if Beyonce has merely artistic or also legal ownership of the adjective "flawless" so I threw the copyright in there. Better safe than sry.